Experience A Great Price And Spectacular Service At Family Owned And Operated Cain Toyota. Press Play To Learn More About Our Friendly And Professional Staff! 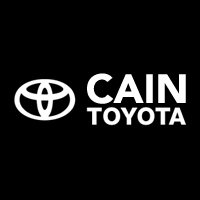 Cain Toyota – Why Shop Anywhere Else? Regardless of the route you go down, our finance team will be there to set you up with competitive rates and affordable monthly payments on a loan or lease. Once everything is arranged and you’ve driven off the lot, feel free to return as needed for maintenance and repairs, as the technicians at our service center know your Toyota inside and out. At Cain Toyota, we’ll go the extra mile to make your experience a pleasant one. That’s not just a promise—it’s a commitment! Find out for yourself at 6527 Whipple Ave NW in North Canton, OH, or give us a call to learn more. We can’t wait to work with you!